Posted on July 8, 2015, in Revitalise Events 2015. Bookmark the permalink. 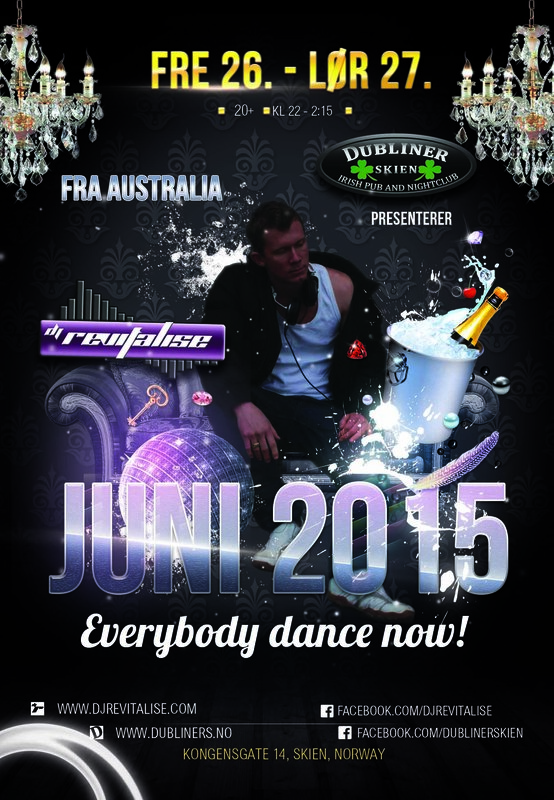 Comments Off on DJ Revitalise Plays At Dubliner Bar – Skien, Norway 26th & 27th June 2015.